Nissan is an automobile brand that is designed, engineered and manufactured by Nissan Motor Company Ltd, a multinational automobile manufacturer Japanese company. The origin of this globally recognised company dates back in 1933. Nissan Motor Company Ltd has a global headquarter in Yokohama, Japan while the other national and regional headquarters are all over the world including UK, Europe and USA. Nissan Motor Company Ltd has continued to development outstanding car brands such as Infiniti, Datsun and Nismo. Other latest Nissan models that have recognised various recognitions include Nissan Tiida and Nissan Altima. Nissan Motor Company Ltd has also been taking into consideration the customer relationship that has led to large market in UK, other European countries and other countries in the world. Buyers willing to purchase any of the Nissan brand with affordable terms can do so by visiting any of the Nissan Motor Company showrooms and affordable used Nissan finance deals. Alternatively, buyers can visit other Nissan motor dealers that are available in UK cities, other European cities and other cities in the world though motor dealers charge relatively high interest rates than the Nissan Motor Company showrooms or outlets. Nissan Motor Company is largely recognised for diversified design, engineering and manufacture of automobiles such as luxury vehicles, commercial vehicles, outboard motors and forklift trucks. The market expansion strategy that this automobile manufacturer devised was to merge with other automobile companies such as Ford Motor Company, Volkswagen, Alfa Romeo, General Motors and LDV group. Nissan Motor Company Ltd also entered into well structured agreements called alliances with other automobile manufacturers such as Renault Automobile Company, a French based car manufacturing company. This kind of agreement is normally carried when a company faces serious financial like the one Nissan Motor Company had faced in 1999. A 1600CC Petrol engine and Manual transmission are just a couple of the aspects that this vehicle is offering. Get in touch with South London Car Sales today and get more info about test-driving this second hand car. Now available from our dealership in the London area is this Nissan QASHQAI featuring Manual transmission with a 1.6L Petrol engine. On offer in the shade of Blue with 103000 miles clocked-up on the dashboard. Take an up-close look and evaluate its full range of features and specifications, visit or call South London Car Sales for a test drive. Priced at just £2,795 is this top 10, best selling QASHQAI 1.5 DCI VISIA 2WD featuring a 1.5 L Diesel engine with Manual transmission. This second hand one at our dealership in London has a Beige finish and has 155600 miles on the dash. Instalment plans begin at £64.48 a month for this used car. 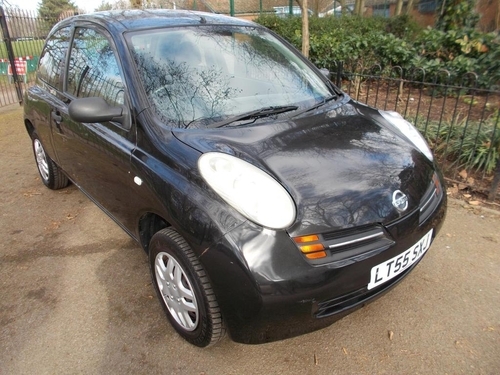 Currently on show at South London Car Sales in London - Nissan MICRA 1.2 16V S in Black that's fitted with a Automatic transmission and 1.2 Litre Petrol engine. Get in touch with South London Car Sales in London to take this motor out for a test-drive. Coming in Blue, this Nissan MICRA has clocked up 32000 miles and comes fitted with a 1200 cc Petrol motor with Automatic transmission It may be the one for you if you would like this model at a bargain price. Get in touch or come by and see their customer service team. Seize the chance to be the new owner of this motor now up for sale at this dealer's great price of just £12,000. It comes in a Black finish, is equipped with a 1200cc Petrol motor with Manual transmission and has 10184 miles on the dashboard. It is for sale at the terrific price of only £12,000 or you could also choose to buy on finance with the help of evenly split, manageable payments. It's a great price for this vehicle it is expected to sell in no time. 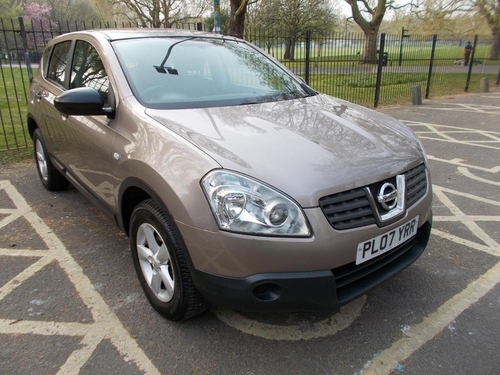 Choose this second-hand Nissan for only £16,295. Credit offers start from as little as £375.93 each month for this car with 36028 miles clocked up on the dashboard, 1200 cc Petrol motor and a Automatic transmission. Instalment plans start from £375.93 every month for this Nissan QASHQAI. Get in touch with Glyn Hopkin to find out more to find an offer that suits your wallet. Available for sale is this Nissan containing a 1600 cc Diesel engine with Automatic transmission. This second hand one has 583 miles on the clock. As you can expect of a high quality vehicle manufactured by Nissan, it comes included with a sizeable array of extra specifications to give motorists an enhanced driving experience. If you'd rather spread the cost of buying this vehicle, just ask this dealership in the London area about buying this Hatchback with a loan. Your repayments may begin at only £588.18 monthly. Are you thinking of going for a MICRA 0.9 IG-T Tekna 5dr? Well, have a more detailed look at this like new one that's been very well maintained. This vehicle at Glyn Hopkin features Manual transmission, a 0.9L Petrol motor and has only done 3326 miles. Call or email the knowledgeable team at Glyn Hopkin to arrange a test drive. 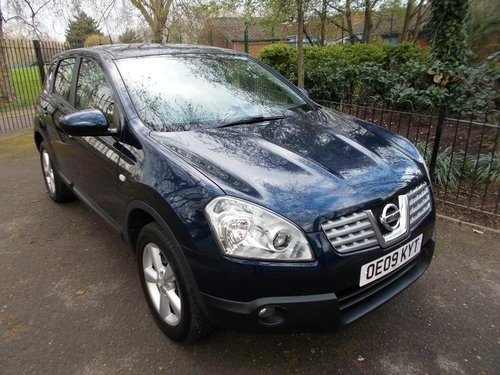 At our dealership, for the brilliant price of £18,495 is this low mileage QASHQAI in an impeccable, like new condition. Get yourself over to this dealership in London or give them a call and schedule an appointment for a test drive in this only clocked up 14744 miles. Second hand Nissan MICRA in an immaculate condition, fresh and clean throughout. It drives like a brand new vehicle with its 900 CC Petrol engine, Manual transmission and a low mileage of just 5744. You can even choose to spread the cost with low cost payments starting from £265.19 monthly. Go down to see us at Glyn Hopkin in London or call to speak to a member of our helpful team to arrange a test-drive in this low mileage used MICRA 0.9 IG-T N-Connecta 5dr that has just 5744 miles on the dash. The low price of only £16,495 is currently being advertised by our dealership in London for this Nissan LEAF 80kW Tekna 24kWh 5dr Auto with low mileage. Get on over to see us at Glyn Hopkin or call to speak to a member of our knowledgeable and friendly team to organise an appointment for a test-drive in this low mileage Hatchback with a mere 16894 miles on the dashboard. An incredible very popular, top ten best selling QASHQAI 5 door. Test drive this QASHQAI at this dealership. 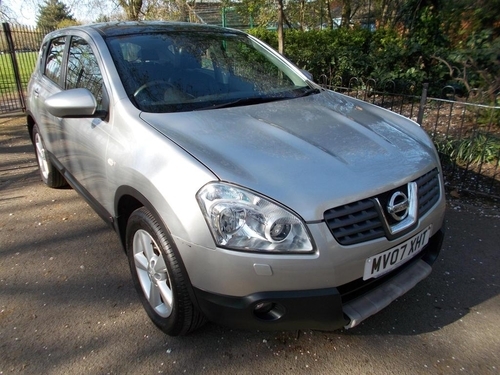 Just call to speak to their helpful team and find out why this Nissan QASHQAI is one of the top 10, best selling cars. At only £20,000 is this highly sought after, best selling Hatchback containing a [engine-size-cc]CC Electric engine with Automatic transmission. This one with low mileage at this dealership is in a splendid, like new condition both in and out and has done a mere 14700 miles. Organise a test drive by getting in touch with the qualified sales department at Glyn Hopkin as soon as possible. . This 5 door used car gives you a 1200cc engine and a Manual transmission. It's currently on the market and ready for you to drive home at only £16,495. In order to find out what finance products are available, simply contact the knowledgeable sales department. Available from our dealership in the London area is this low mileage Nissan that's got a Petrol, 1200 cc engine and Manual transmission. On the market in a Silver finish. Send an email or call Glyn Hopkin now and get more info about organising a test-drive in this Nissan JUKE 1.2 DiG-T N-Connecta 5dr. Showing 1-18 of 16,203 items.